Dynamite and legendary creator Jim Starlin present the return of the Cosmic Guard in the Kid Kosmos original graphic novel! Kid Kosmos is a direct continuation of the Cosmic Guard mini-series, and features 122 pages of original story and art in Dynamite's first-ever original graphic novel! 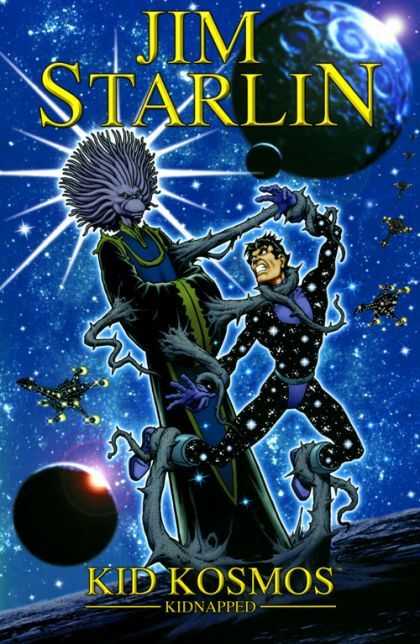 Starlin is a master of all things time and space, and he excels in this, his most powerful vision yet! As Starlin prepares to return to the 'Cosmic' end of the DC Universe (in the upcoming Mystery in Space series), this Original Graphic Novel is the perfect companion, unleashing a raw and dynamic story from the master, Jim Starlin!